Not being able to provide information to the civil records registrars in their native language, the people of the Achuar del Pastaza community in Peru struggle to access basic rights. 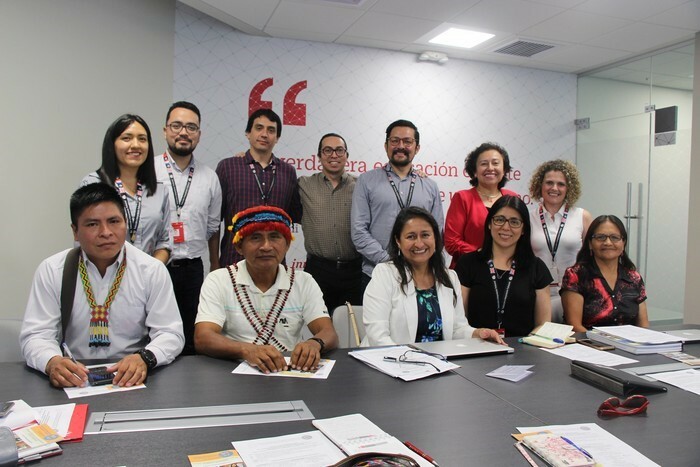 To help the Achuar people, the Peruvian University of Applied Sciences embarked on a project to translate civil record documents from Spanish into Achuar using Memsource. The following text was written and translated into English by Silvia Rubio Leigh and Iván Villanueva Jordán, faculty members of the Professional Translation and Interpretation program at the Peruvian University of Applied Sciences. Memsource would like to express its most sincere gratitude for this initiative. Peru’s linguistic background is the result of rich pre-Columbian cultures, an infamous colonial era, and erratic political actions since the beginning of the Peruvian Republic. The Indigenous Language Act (Ley 29735), passed in 2011, has led to different initiatives to encourage a wide variety of indigenous languages to be spoken across the Andes and the Amazonia. These initiatives are aimed at developing, promoting, and preserving the Amerindian languages spoken in the Peruvian territory. In 2019, the Professional Translation and Interpretation program of the Peruvian University of Applied Sciences (UPC), along with the International Institute for Law and Society (IIDS), and the Peruvian Achuar Nationality Federation (FENAP) undertook a translation project that sought to promote the right to identity of the Achuar del Pastaza community, an Amazonian indigenous people. “The project started because of the need to translate pending forms and protocols in order to create a bilingual Spanish-Achuar civil registry service,” explained Soraya Yrigoyen Fajardo, the promoter and coordinator of the project, who is both a faculty member at UPC and a member of the IIDS. “This is an intercultural, interdisciplinary, and inter-institutional collaboration experience,” she added. The project consisted of translating civil record documents (forms and protocols) from Spanish into Achuar. These documents are used by the Peruvian National Registry of Identification and Civil Status to keep the civil records, such as birth, death, and marriage data, of the population. As most of the Achuar people don’t speak Spanish, it’s difficult for them to provide information to the civil records registrars. This is one of the main reasons the Achuar people often don’t have certificates and national identification documents, making it impossible to access public services. The project started in January 2019 and lasted four weeks. The Achuar del Pastaza Community appointed Sumbinianch Mitiap and Kamijú Chumap for the translation task. The two Achuar-Spanish speaking school teachers, previously trained as translators by the Peruvian Ministry of Culture, traveled to Lima where UPC is located. Along with a group of advisors, they translated 42 documents during the four weeks of the project, while UPC provided the translation project management know-how, the computer labs, and the specialized library collection. Memsource was used during the project, since UPC has both Project Manager and Linguist accounts as part of the Memsource Academic Program. Silvia Rubio Leigh and Iván Villanueva Jordán, the translation professors in charge of managing the translation project, were able to train both teachers by providing a general presentation of the tool and by monitoring the process for a couple of days. They found that Memsource was easy to use and it proved to be a comprehensive and practical tool for this project. Despite the long trip to Lima and the month-long separation, far from their community, the Achuar teachers expressed their joy to be part of the project. “I am very happy to have come from so far and I hope to contribute significantly to this project that is beneficial to my people,” said Kamijú Chumap. “Our people are beautiful and want to make progress with their own culture and language. Every achievement of the Achuar community is for the benefit of other indigenous peoples,” said Sumbinianch Mitiap. Do you have a similar initiative in mind that Memsource could help with?